At Springbak, we always want to utilize the very best resources that we possibly can to open the lines of communication with you. 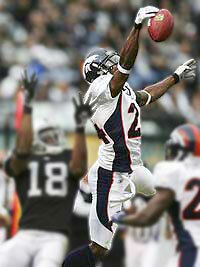 We thoroughly enjoy sharing sports-related tips and advice, as well as keeping you informed about our latest Springbak news and events, including updates about which pro athletes and winning teams are the latest to use Springbak Springsoles / Insoles in their chosen sport. We have recently extended our reach over to Facebook and we invite you to join us today on Springbak’s Fan Page on Facebook! 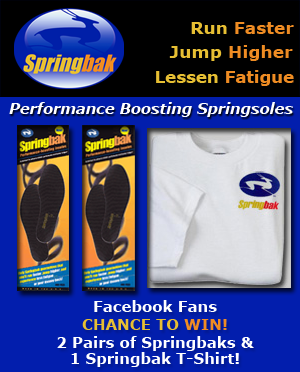 If you become a fan prior to Monday, October 19th at 3PM EST, your name will be automatically entered into our random drawing giveaway for a chance to win 2 Pairs of Springbak Springsoles and a Springbak T-Shirt! The winner will be randomly selected from Springbak’s existing fan base at the date and time of drawing and will be announced on our Facebook Page upon selection. We look forward to seeing you and your friends on Facebook!